There’s a few areas of cannabis medicine that really make my inner geek ring true and cannabis topicals are definitely one of them, and I know I’m not alone. Cannabis salves and topical lotions are a patient favorite. Applied like you would any muscle rub, cannabis topical applications are not absorbed into the bloodstream so they can’t get you stoned. Usually working within 15-20 minutes they are a great option for a variety of pain and skin conditions. I use mine frequently for my fibromyalgia and chronic pain. Our patients also love topical creams and are finding they work well for arthritis, nerve pain, injuries, headaches, and skin conditions. Medical cannabis works by interacting with a network of receptors that form the endocannabinoid system. The endocannabinoid system is responsible for maintaining homeostasis, or equalibrium, in the body - which is what allows cannabis to impact such a wide variety of symptoms including chronic pain and inflammation. Found throughout the body, these receptors are also in high concentrations along the nerve fibers that run throughout our skin. When the cannabinoids in topical creams interact with these receptors they help to provide pain relief and decrease inflammation. Topical cannabis is also beneficial for it’s antibacterial and immune modulating properties. Many patients with skin conditions like psoriasis, eczema, and chronic infections report both pain relief and increased healing with the use of cannabis topicals. The Florida registry system currently only allows physicians to order 2 delivery routes per patient. Because most patients opt for inhalation and oral methods, they don't have the option to purchase medical cannabis topicals despite their availability in State licensed dispensaries. I prefer to make my own, especially as I get to control the added ingredients to meet my needs. They are easy to make and I can save money! I can make two to three jars of medical cannabis salve for the price of one purchased at a dispensary. In fact, they are so easy to make that you don’t even have to mix your cannabis oil with anything else if you don't want to - you can use it topically just as it is. If you are the DIY type though, making your own salve will help you maximize your medicine and get the most out of your investment. And it's fun! While I’m going to provide you with a general recipe below, there really is no need to follow one. Just stick to the basic guidelines, choose from the suggested ingredients, and experiment with various combinations to meet your needs and preferences. As long as you don’t spill or burn your cannabis oil, you really can’t mess it up! The first time I made a salve I just mixed my cannabis oil with coconut oil and called it a day. While this worked, it was a bit greasy and I smelled like I should be on the beach sipping a Pina colada. For an easier to use and more shelf stable option, make a blend of the recommended ingredients. After trying a few combos, I prefer to mix my cannabis oil with a combination of beeswax, shea butter, cocoa butter, olive oil, and essential oils. It results in a creamy but solid preparation, that leaves my skin feeling soft with no greasy film. Some of these ingredients also assist with the skin's ability to absorb THC & CBD. Any of the below products/dispensary options are appropriate for making your own topical. I recommend a salve made from both CBD and THC for best effects, but you could opt for CBD or THC only as well. I love my CBD dominant salve for muscle spams. Aim for 200-300mg total cannabinoids or greater per every 4 ounces of salve. 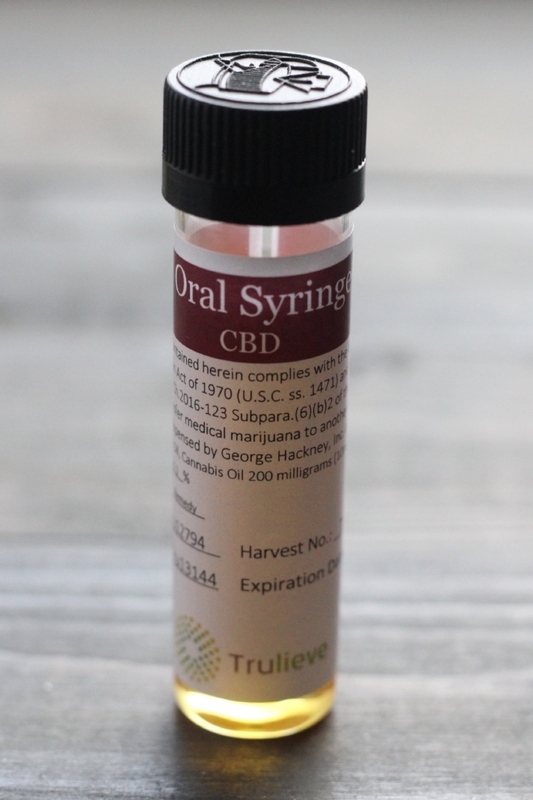 *Truclear is the most cost effective option, but a salve made from CBD & THC will have the most versatile application/effectiveness. If you choose to use Truclear heat it with a blow dryer for 20-30 seconds and dilute in 1oz of coconut or other oil prior to making your salve. Cannabis is fat soluble, so you'll want to mix your cannabis oil into another oil or fat, or combination of fats/oils. For the best consistency, use a combo of a solid fat and oil. I prefer a blend of shea butter, cocoa butter, and olive oil. Shea butter helps absorption, has anti-inflammatory properties, and helps to alleviate pain and itch. Cocoa butter is a very stable fat that can prevent rancidity and adds a velvety texture to the final product. Olive oil helps thin out the base and adds to absorption. Experiment with different fats and ratios to find the consistency that meets your needs. You can opt to skip adding a texture agent, but adding one definitely has it's advantages. Beeswax shavings or aloe vera gel can cut down on grease, help the final product to last longer, and make a product that is easier to use. For a firm salve (my preference) use beeswax. If you prefer a thinner, more lotion like consistency opt for aloe vera. For a more solid balm, start with a 1:2 ratio of beeswax to fat. For a creamier balm, start with a 1:4 ratio of beeswax to fat. Cannabis works synergistically with other compounds and chemicals. I enjoy adding in essential oils to my cannabis salves to enhance the therapeutic potential and make them smell nice. Choosing proper essential oils can actually increase the desired effects of your DIY topical cannabis salves. If you do opt to add essential oils, be sure to only use oils that are appropriate for topical use and follow dilution guidelines. My personal favorites are Plant Therapy’s Rapid Relief and Muscle Aid blends, but your options are endless. With the use of essential oils you can target specific symptoms and uses to make an array of cannabis topicals. Prepare a double boiler over medium heat. If you don't have a double boiler use this method with 2 sauce pans or a saucepan and large bowl. Add beeswax and stir continuously. Do not melt beeswax over direct heat as it may scorch. Add cocoa butter and shea butter, stirring until melted and well mixed. Remove from heat and whisk in olive oil and cannabis oil/tincture until well combined. Add essential oil blend of choice - following dilution guidelines for proper amounts. For best consistency, let cool until slightly hardened and whip by hand (whisk or fork) or use an immersion blender until creamy. Transfer finished salve to storage containers. Apply liberally for localized pain. Store in a cool dark place. The salve will immediately begin to harden, so don’t let it hang out on the stove. Get it into containers quickly. To test consistency remove a small amount of oil and refrigerate until it hardens. You can melt down and add ingredients to change the consistency if needed. Wipe down any pans or measuring utensils prior to washing - beeswax and other solid fats will solidify and clog your drains. Do not add your cannabis oil to pre-bought lotions as the chemicals may degrade the medicine.